Can You Transfer NSW Forklift Licence to QLD? - Be Certified Today! Forklift licence is a legal requirement for someone who wants to work as a forklift operator. Forklift operation is considered high-risk work in Australia and you need to have such licence if you want to operate a forklift in NSW. But what if for some reason you moved to Queensland and you want to transfer your NSW forklift licence to Queensland, will it still be recognized? Let’s straight the fact that all photographic HRW licence issued in any Australian state or territory is recognized anywhere in the country. To answer the question, YES, you can still use your forklift licence issued in NSW for you to be employed in Queensland as a forklift operator, as long as it still valid. And this only applies to the new photographic HRW licence. However, if you still have that old style non-photographic HRW licence, your licence will no longer be valid and therefore cannot be transferred or renewed in Queensland. You can communicate with Workplace Health and Safety Queensland (WHSQ) using this phone number 1300 362 128 for assistance. If your licence has been issued before the year 1996, if it doesn’t have an expiry date or if it has expired for too long then it is no longer valid. It will not be recognized in the Queensland. You need a full forklift training and testing again for you to get HRW licence in Qld. You will need to be retrained by a Queensland-based RTO and be assessed by a competent assessor. The same applies to those photographic licence holders who have not renewed their licences 12 months after expiring. Expiration happens if you do not update your home address. If in this case, you move from NSW to QLD. You should notify the issuing licence regulator (WorkCover) about the change of address so that that renewal application papers will be delivered to the right address. If you are an operator working in NSW and you would like to keep your forklift licence current, be aware of the expiry date of your licence because of 2 months before its expiration, the WorkCover will send you through mail the renewal application package. The package consists of application form and instruction. Fill up the application form and ready the appropriate amount. Lodge those requirement to the nearest Australia Post and pay the amount. Make sure you submit it personally and don’t send someone else to do it on behalf of you. Make sure you have a new style photographic HRW licence and that you must apply for the renewal three (3) months prior to its expiry date or within the span of twelve (12) months after being expired. Gather the requirements such as your HRW licence with its ID number, issuance and expiry date; an account of your QGOV/Google/Microsoft, if you do not have Google or Microsoft account, you can get a QGOV account during the HRW licence application process; an active email address; your customer reference number (CRN), if you don’t have yet a CRN, you can still submit your renewal application to WHSQ, they will get in touch with you to help you to get a CRN. Ready the application fee for renewal of high-risk work licence, as of this writing, the fee is $83.05. You need a debit or credit card. This is the licence issued to those drivers who operate lift trucks equipped with a mast and an elevating load carriage to which is attached a pair of forks. While LO licence is issued to those who operate powered industrial truck of a type where the control arrangement is integrated with the load carriage/lifting mechanism and raises together with it. You can obtain both of these classes by taking the necessary training from an RTO and be evaluated by an assessor. To be assessed, you will undergo the appropriate practical test and take the written exam. If you passed the written and practical tests, the assessor will issue you notice of assessment summary and the RTO will hand over your statement of attainment. You must complete the online application of Queensland HRW licence, click here to do so. While waiting for your HRW licence to arrive, keep the assessment summary and the proof of payment as confirmation that you can perform high-risk work in Queensland. Queensland is a fantastic Australian territory, it is one of the largest states of the country. You can get a good career in Qld as a forklift driver. Becoming a driver requires you to have a valid HRW licence. HRW forklift licence is not a joke. It is mandatory for you to have such licence in order to gain employment as a forklift driver. 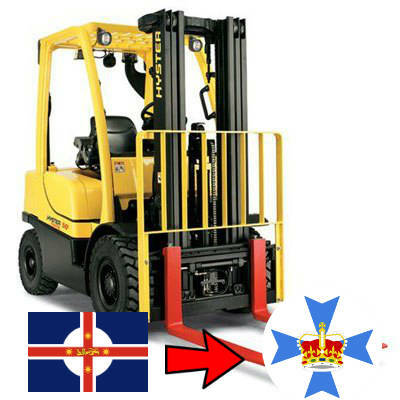 If for some reasons, you moved from New South Wales, you can change your forklift licence to be recognized in Queensland as long it is still valid. If it isn’t, then you need to retake a full forklift training, take the assessment and finally submit your application for a high-risk work licence. The process takes a little time and small investment but it is worth the effort.